Picture on left is a Rottweiler puppy prelim with hip ball/joints in the socket. This puppy may of passed with a good. The puppy soon after fell spread eagle and also breaking the lower leg. You can see the dog has screws and a plate. After surgury was preformed because the dog was limping, another xray was taken origionally to check the knee and founf the hip problem. 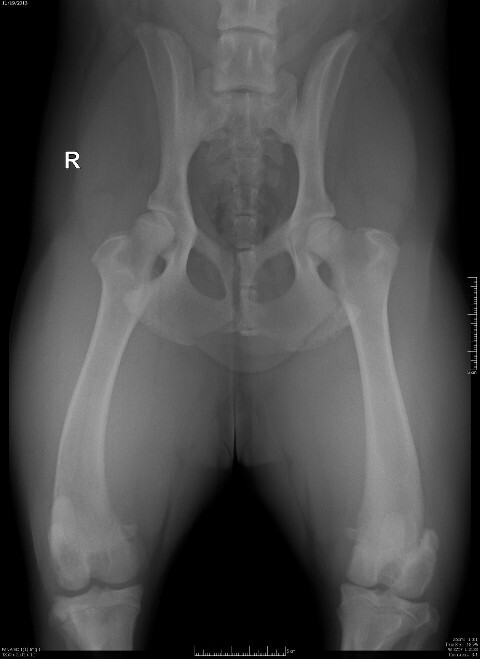 The vet took another x ray to see the difference showing the fall causing the hip to pop out of the socket. 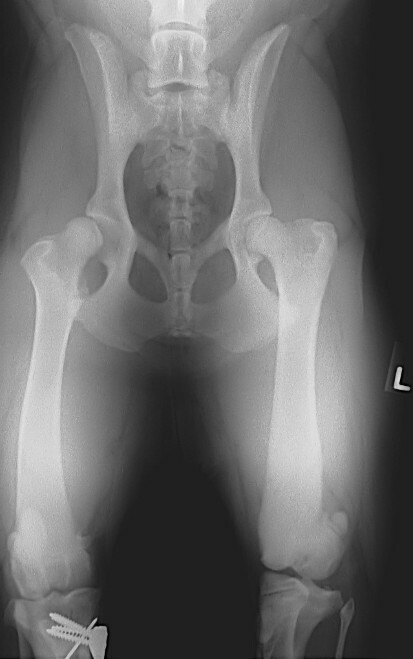 This is proof that a young puppy did not have heriditary hip dysplasia, therefore is not a replacement puppy.